Bottom photo: Lauren Conrad 'Style', Fashion A-Z; An Illustrated Dictionary, and Decades Of Beauty. I've never been a fan of non-fiction books but over the past couple of years, I've found myself building up a little collection of beauty and fashion reference books. There are some absolutely beautiful ones out there and they're perfect for flicking through when you're not in the mood for reading a novel. I get most of my beauty and fashion books from TK Maxx (they have a really good range and they're not too expensive) but the majority of them have been presents from my mum so I'm not sure of where each one is from. 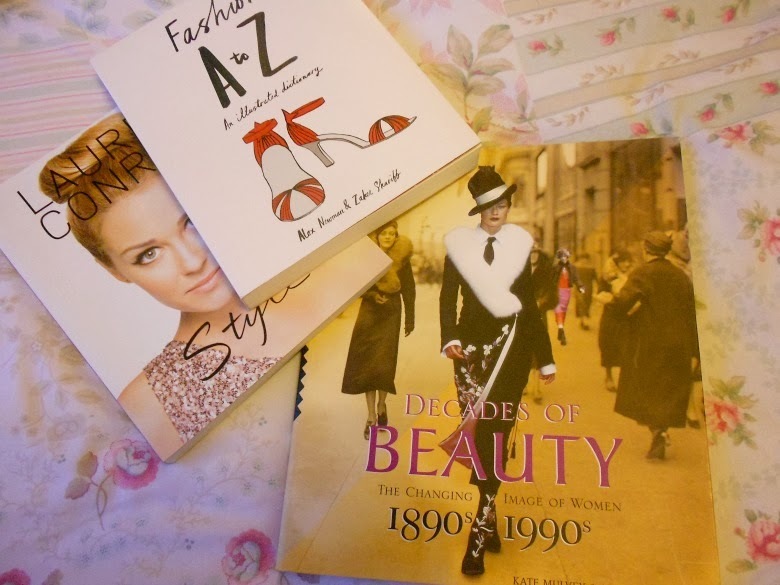 Beauty and fashion reference books are gorgeous and special but are also really useful for anyone who is interested in learning a bit more about the history of certain styles and trends. 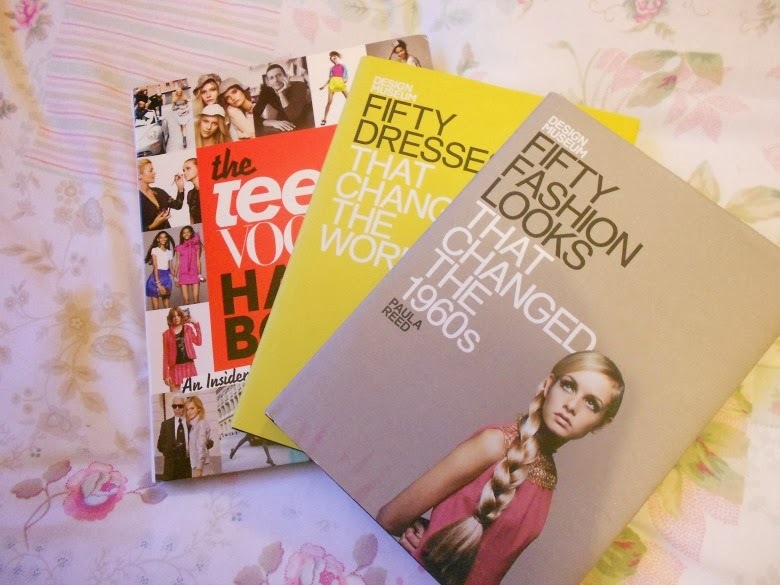 Do you have any favourite beauty and fashion reference books? I don't own any fashion or beauty books - probably because my sense of fashion isn't as elaborate as some people's may be and I don't wear make up (I would if I knew how to apply it). I've been thinking for a while that I might accumulate some soon though as I'm studying Art as one of my GCSE's and one of the key areas is design, with some of it being fashion so maybe it would be a good idea to buy a book or two. I love the sound of "Decades of Beauty" - I'm fascinated by the 1920's fashion and obviously being from 1890's - 1990's then it would include that decade. It's a beautiful book; you'd probably like it. I'm not sure where it's from because it was a present from my mum but I'm sure you'd be able to find it online. Im looking forward to buy one! Great Post. My favorite fashion era I am totally in love with is the 1920's!